You love your classic car and have probably put in untold hours on restoring and maintaining it. Storing your special vehicle can be challenging. If you don’t have the space to keep the car safe at home, you probably need to rent an appropriate storage unit. While you don’t have to invest in a climate-controlled unit, you do need one that is dry, preferably with a concrete floor, and has excellent security. The cost of storing your prized car will vary depending on where you live in the United States and the size and type of unit you want. Below are estimates of car storage prices in major cities throughout the United States. Despite its size, Atlanta offers a good deal on storage units. You can store your car for around $157 per month for a 10′ by 20′ unit. In Boston, another major East Coast population center, 10′ by 20′ rental units will cost around $262 per month. Chicago car storage can run up over $300 for a 10′ by 30′ unit, but the average is nearer to $200 per month for a 10′ by 20′. 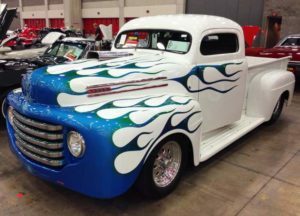 In Dallas, storing your classic car will cost you approximately $143 per month for a 10′ by 20′ unit, a good deal considering the price of Dallas real estate. Things are up to date in Kansas City, but car storage won’t break your budget. A 10′ by 20′ unit will cost you around $126 each month. High rollers don’t have to worry about car storage costs in Las Vegas. A 10′ by 20′ unit there will cost you approximately $130 per month. People love and need their cars in Los Angeles, but storing them is more costly than in some areas. The average price for a 10′ by 20′ unit is $300 per month. Storing your car in New York City is expensive, but location is everything. Some car owners store their vehicle in New Jersey and save hundreds of dollars each month. The average price for a 10′ by 15′ storage unit in the city is $750. In Orlando, the average cost of storing your classic car is $119 per month for a 10′ by 20′ unit. 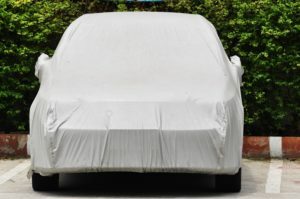 If you are storing your car in Seattle, you may want to consider paying more for a climate-controlled unit to protect against moisture. The average cost of a 10′ by 20′ unit there is $156 per month. Car storage prices in or near St. Louis vary widely, depending on location and size, but you can get a 10′ by 20′ unit for about $138 month. 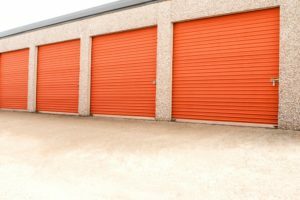 Storage unit prices do vary in each city, depending on their location, security measures, and climate control. Keeping your classic car in mint condition may mean investing more money each month to get the kind of security and moisture control that you need. If you are in a car club or simply socialize with other car lovers, ask for storage recommendations in your area. A little research will help you find a quality space that fits your budget.